Dessert Story is a homegrown chain that has been serving customers since 2008.I visited their recently renovated Tiong Bahru branch to check out their new range of fusion desserts. The chain is also placing more emphasis in creating more healthful desserts that are freshly cooked or brewed daily with natural ingredients. Generous chunks of fresh water chestnut make this an incredibly refreshing drink. Water chestnut is traditionally believed to be cooling in nature, and is rich in vitamins and minerals. They are also low-calorie and cholesterol-free. 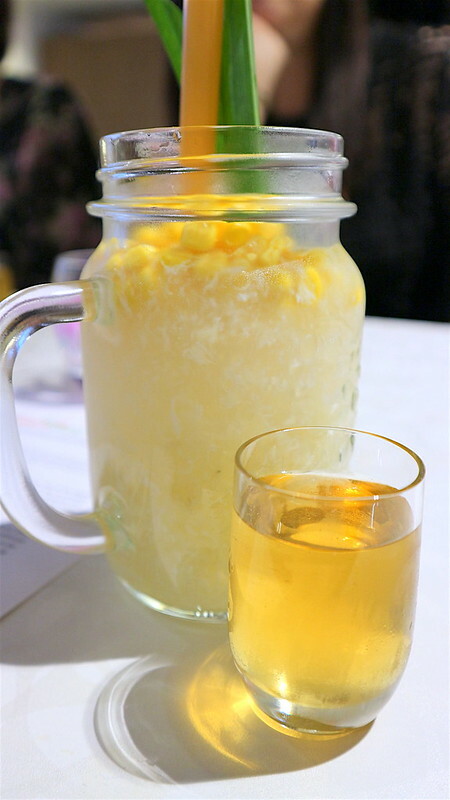 Corn kernels add natural sweetness to the drink. The drink is sweet enough on its own not to need the little jug of syrup. This concoction is pure genius. 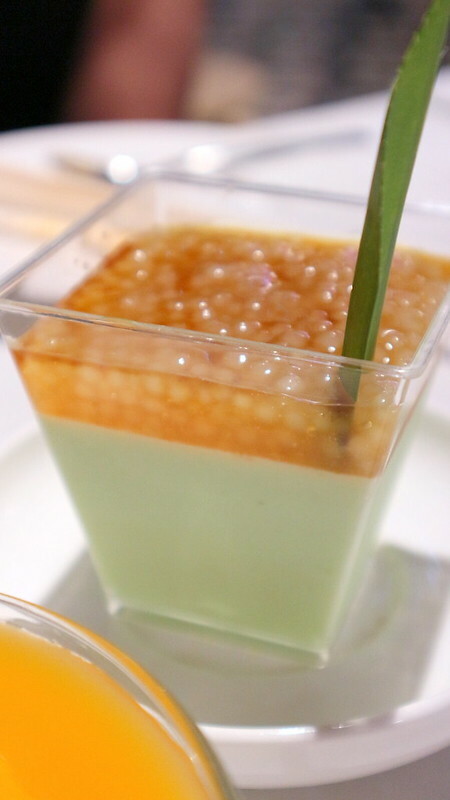 Soy bean pudding infused with coconut water! Two amazing foods in one. 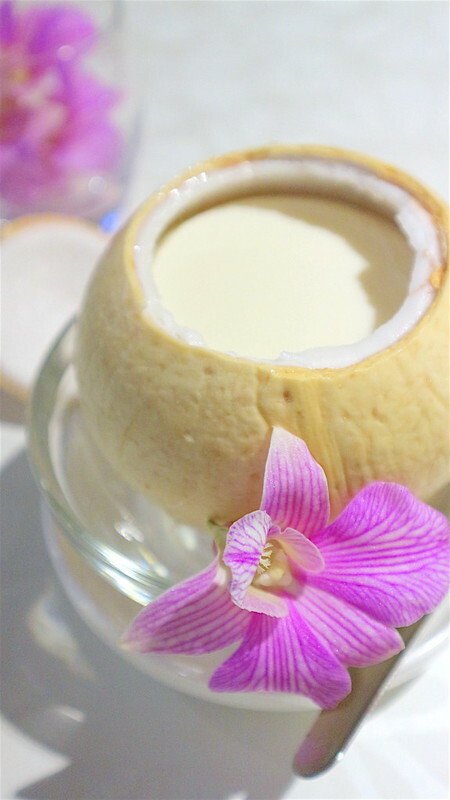 You can really taste the coconut in the smooth and delicate pudding. Fresh coconut water is used, so you're getting all the benefits of minerals, vitamins and electrolytes. I also love that it's served in a coconut, so you can enjoy the tender coconut flesh as well. This is my favourite of the lot by far. Southeast Asian Chendol meets milk pudding made with Australian milk - it's all the familiar flavours of chendol but with a delicately creamy base instead of shaved ice. 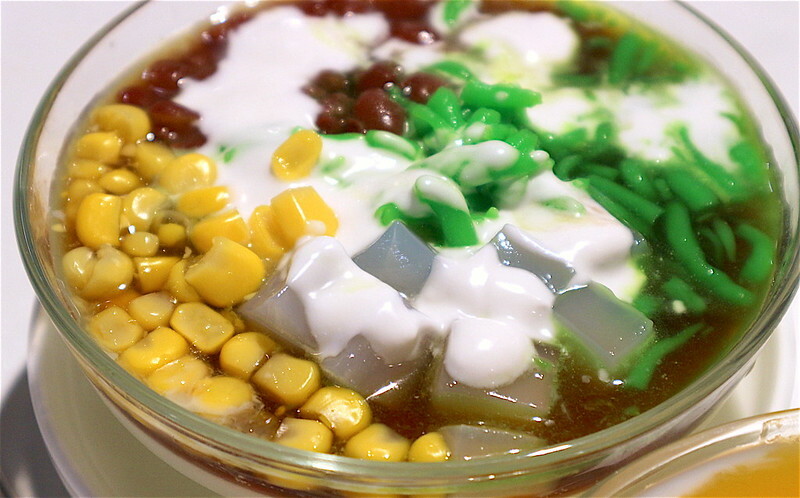 It's topped with red beans, green jelly noodles, corn kernels, nata de coco, Gula Melaka, and a drizzle of coconut cream. This sounds like a slam dunk: Italian milky jelly infused with pandan. But I think the delicate flavours were overpowered by how sweet this was. The topping of cooked sage drenched in Gula Melaka didn't help with the sweetness factor either. It's a great idea, but it may need a little modification. 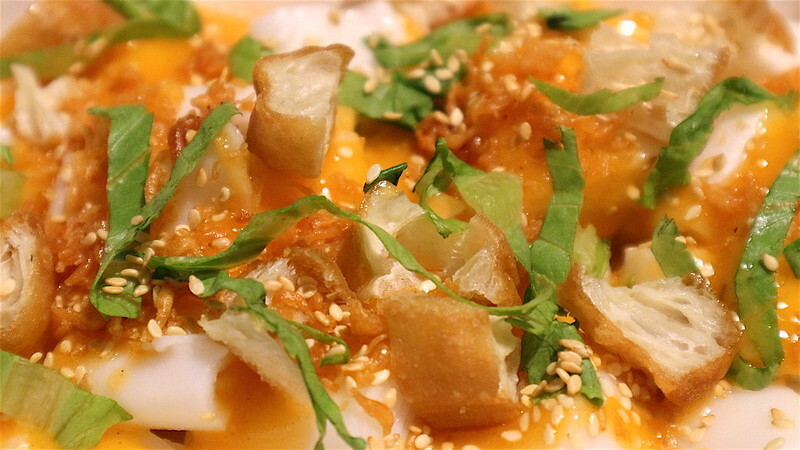 Dessert Story also has some hot savoury dim sum-style snacks, and they've even given these a small twist. 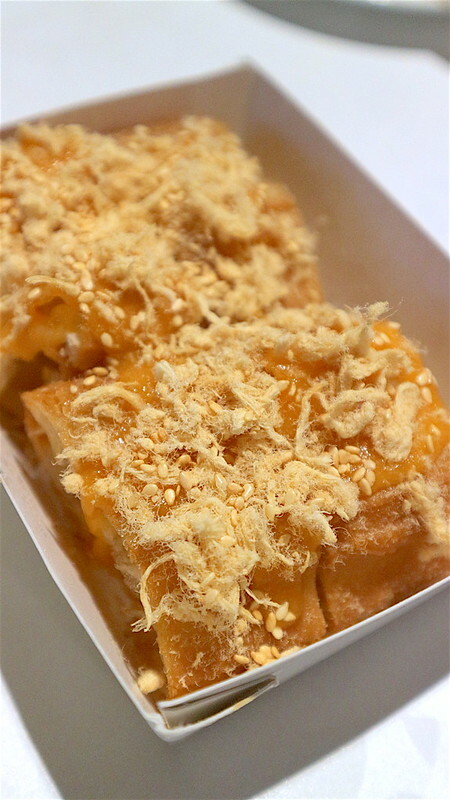 This breakfast favourite of steamed rice rolls has been jazzed up with crunchy sliced you tiao (dough crullers), Chinese crisps and chopped fresh lettuce. It's slathered with a salted egg yolk sauce that will please dessert fans - it's more sweet than savoury. If you prefer the traditional sweet sauce, they have that version too. We do wonder if the salted egg yolk craze will ever abate, but it seems like we haven't reached satiation point yet. Here's another salted egg yolk sauced snack - looks finger-lickin' good but the you tiao and floss combination at times makes this too dry. I almost want a hot soupy dip to dunk the you tiao in. Hmm, is my bak kut teh penchant showing? So those are the fusion items. 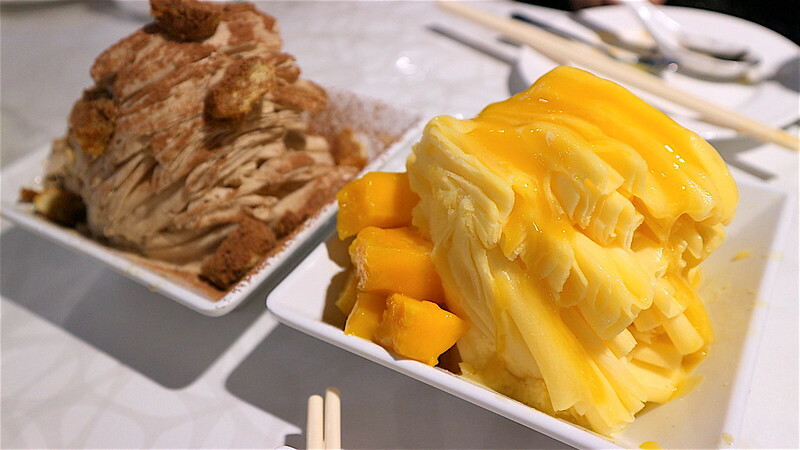 Dessert Story also carries traditional favourites like beancurd skin with barley and ginkgo nut; mango pomelo sago; white fungus with red dates; yam paste; tang yuan; and even durian pengat! Their bestseller is...surprise, surprise...the Black Sesame Paste (S$3.30)! The customers who choose this aren't just the elderly type either; many from the younger generation have taken to this. The black sesame seeds are ground inhouse and blended to a smooth consistency. 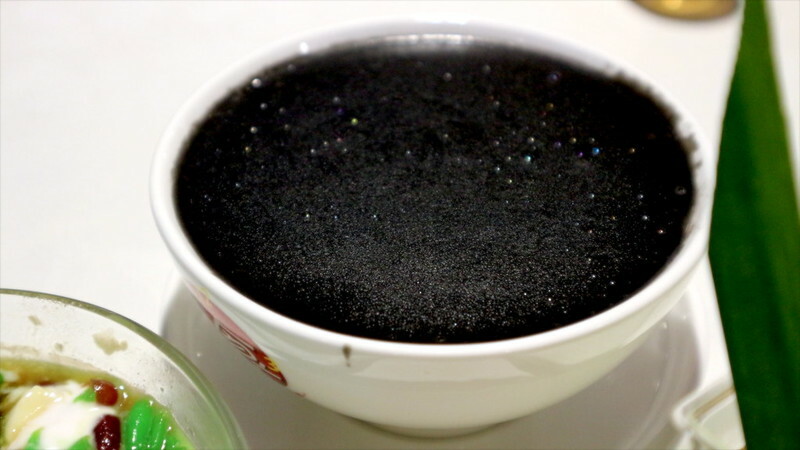 The version here is almost soup-like and thus easier to drink than a thick cloying paste. This traditional dessert is believed to help replenish blood, warm the body and prevent hair from greying. I liked this one, even if it was a little on the sweet side. The steamed ginger egg pudding is one of the better ones I've had in Singapore (why can't we get the same quality as Hong Kong's?). 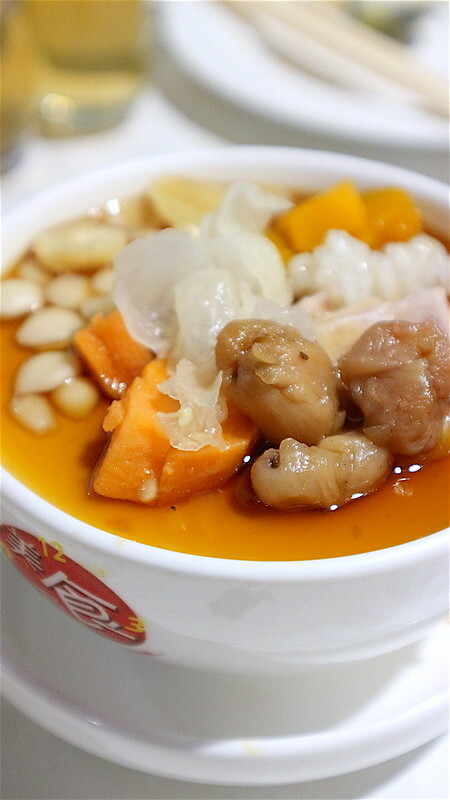 On its own, it's already exquisite, but it's topped with eight nourishing ingredients like barley, white fungus, longan, Chinese almond, lotus seed, pumpkin, sweet potato and yam. I would love it if they could reduce the sugar in this by half. This is probably to target youngsters who love feathery snow ice desserts. But these pale in comparison to the other desserts here, to be honest. This almost seems like our local answer to Matcha Adzuki. 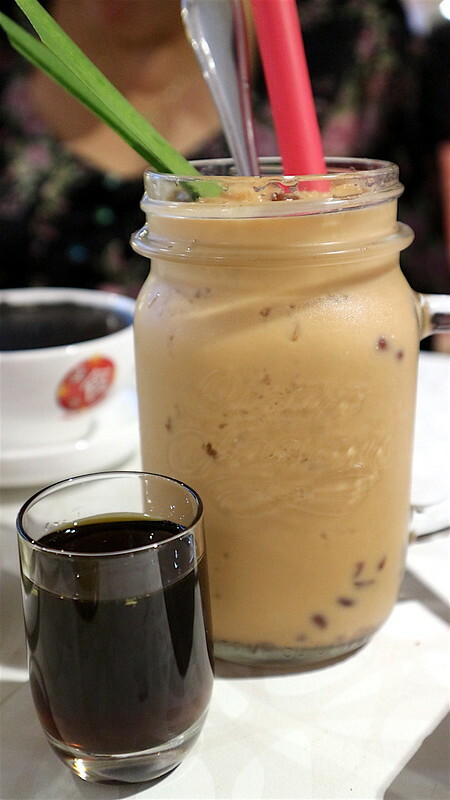 The iced milk tea gets a boost of caramel-like fragrance from Gula Melaka and a fibre boost from red beans. And did you know red beans offer more antioxidants than blueberries or cherries?